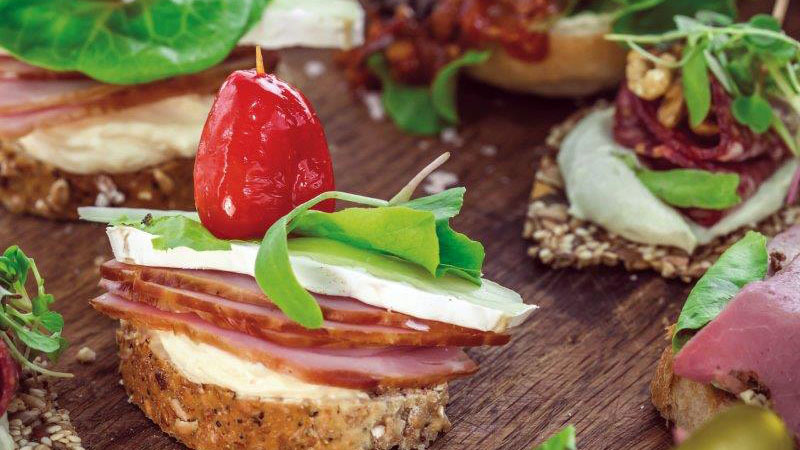 These light and tasty little sandwiches combine the sweet and salty flavours of sweet chilli cream cheese and Kaiserfleisch. 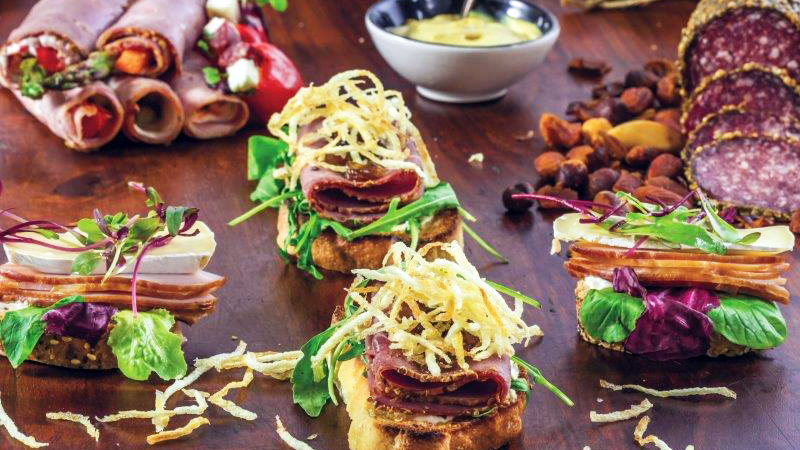 They combine the delicious flavours of spicy Pastrami, mustard cream cheese, rocket, onion marmalade and shoestring chips. 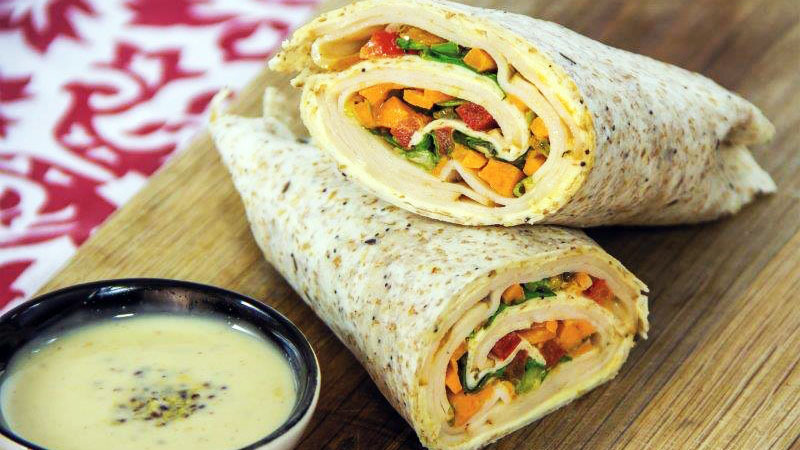 The wrap is low fat and high in fibre, making this a wholesome and tasty choice. It is easy to make and a convenient meal on the go. 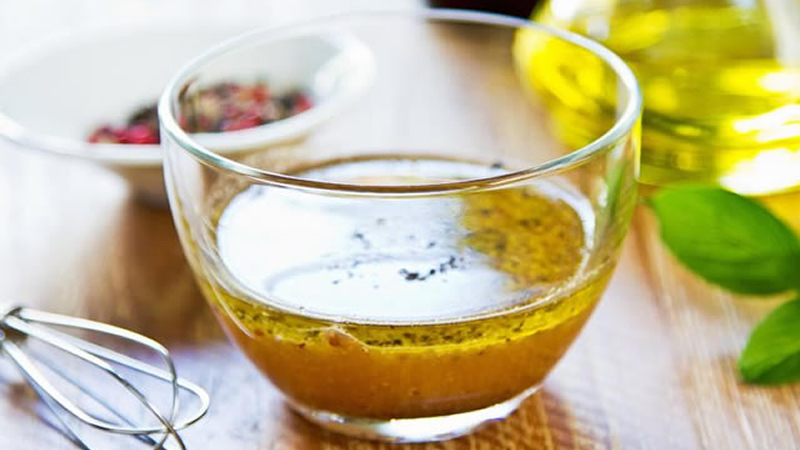 This vinaigrette is tangy and flavourful, and perfectly offsets the richness of the meat. 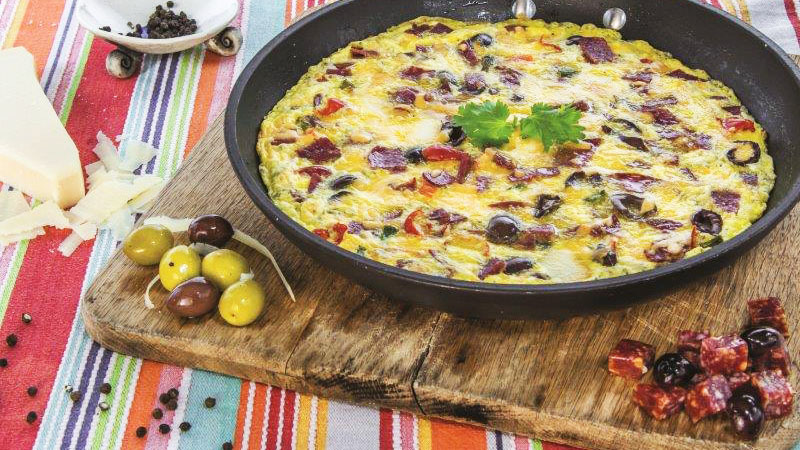 Creamy, flavourful and comforting, our frittata is an easy way to serve eggs to a big group of people. 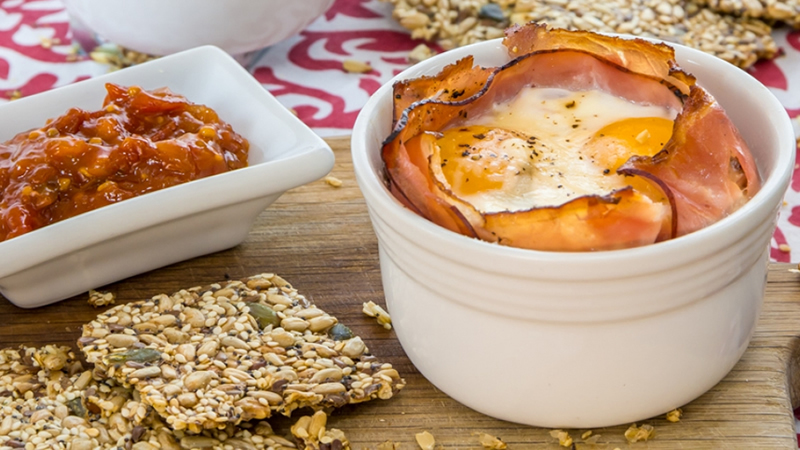 It is delicious served hot or cold, and is a hit for breakfast or lunch. Perfect for curling up with on a cold, winter day, this intensely flavoured soup is warming and comforting. 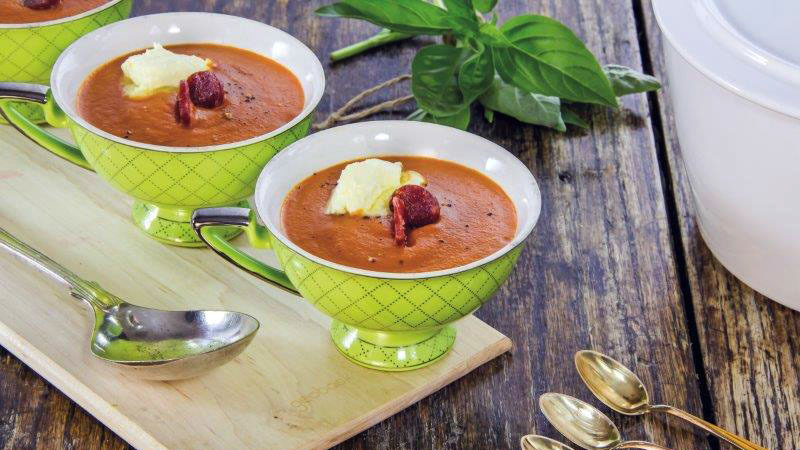 The Kabanossi and mascarpone cheese add some decadence to an otherwise quick and easy soup. Banting friendly. 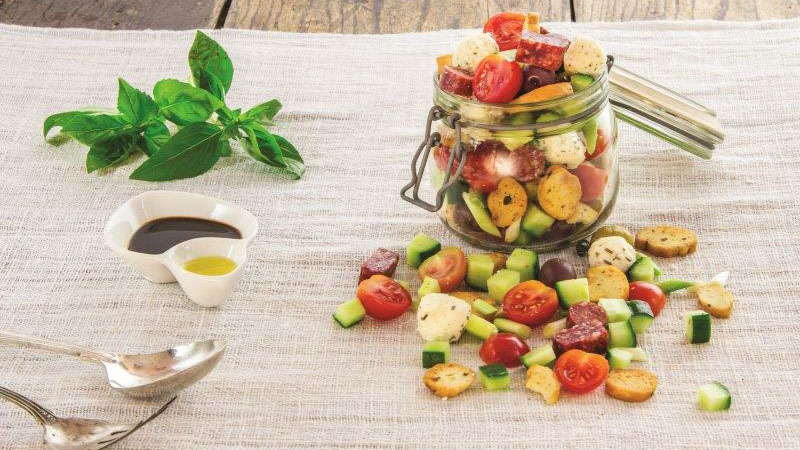 No more soggy salads with this ingenious way of packing for lunch or picnics. 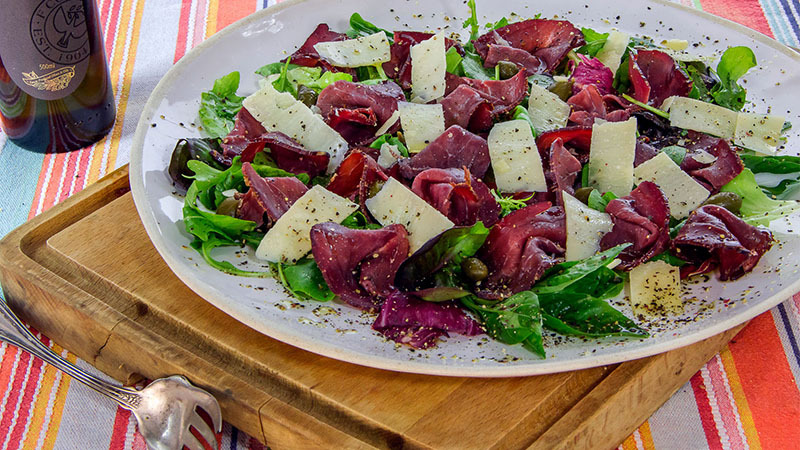 The secret to this salad is the layering. Delicious Banting friendly crackers. You can make your own blend of nuts and seeds, and adapt this recipe as you wish. 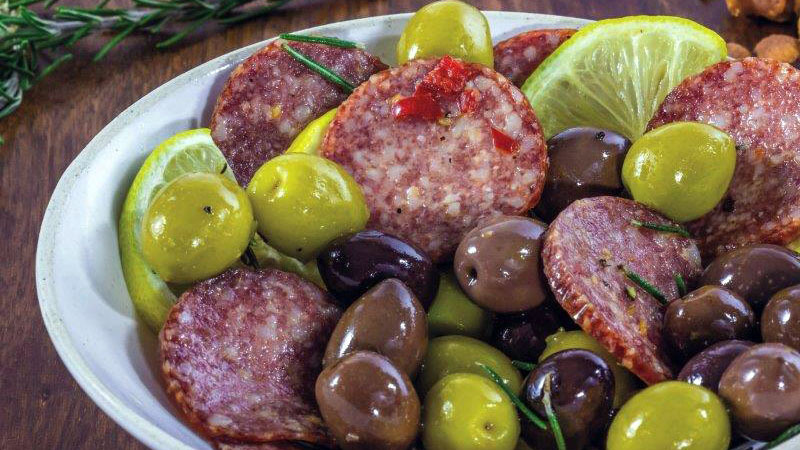 Top with an assortment of Hartlief meats and other toppings for a quick and easy entertaining solution. The little snacks look as good as they taste. And they’re healthy! The mozzarella can easily be replaced with cubes of feta and the cubed Landjäger can we swapped with salami folded into quarters. 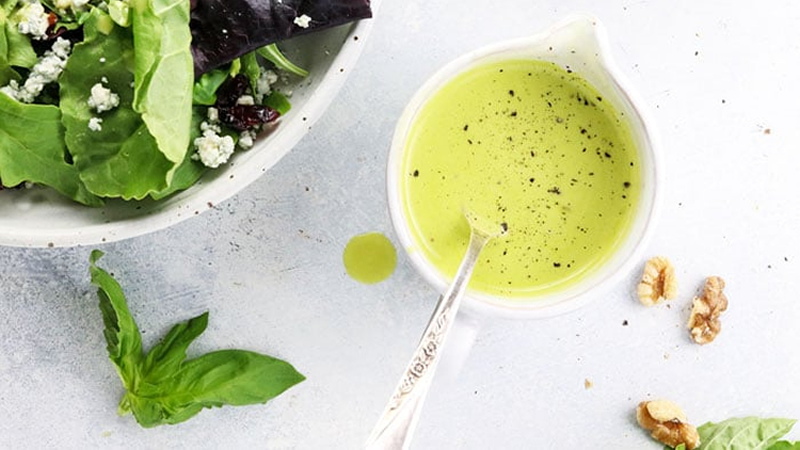 If you’re short on time, basil pesto can simply be used instead of the vinaigrette. 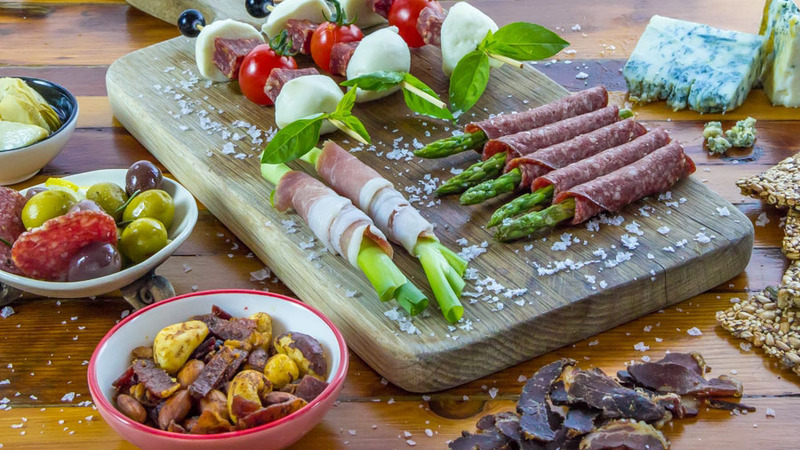 A snack platter is a must-have for every party or special occasion. 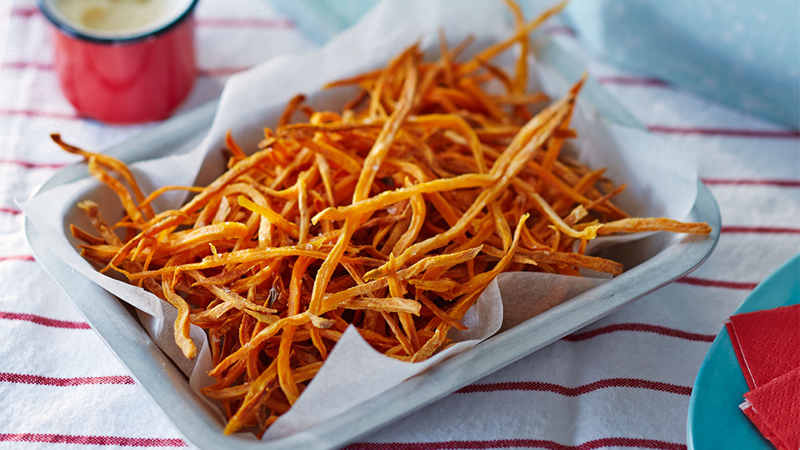 Effortless to put together and filled with healthy snacks, it will impress all your friends and family. The recipes are filling, delicious and quick to make. 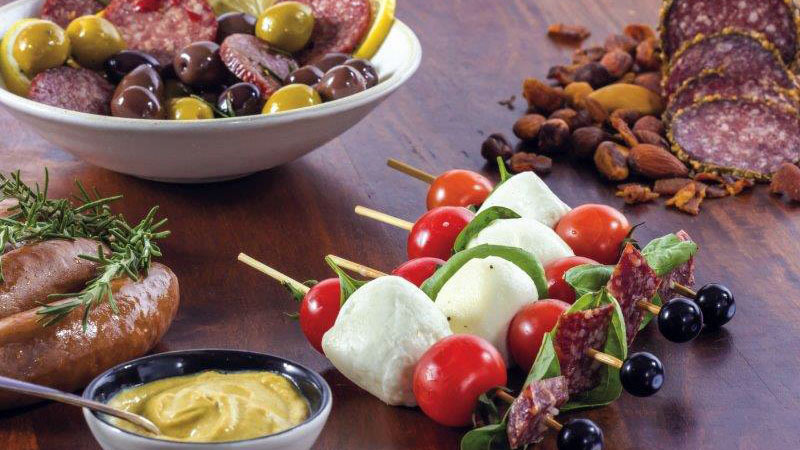 Play around with the Hartlief range of products – wrap meat around a creamy brie cheese, crispy butter lettuce or crunchy carrot sticks. 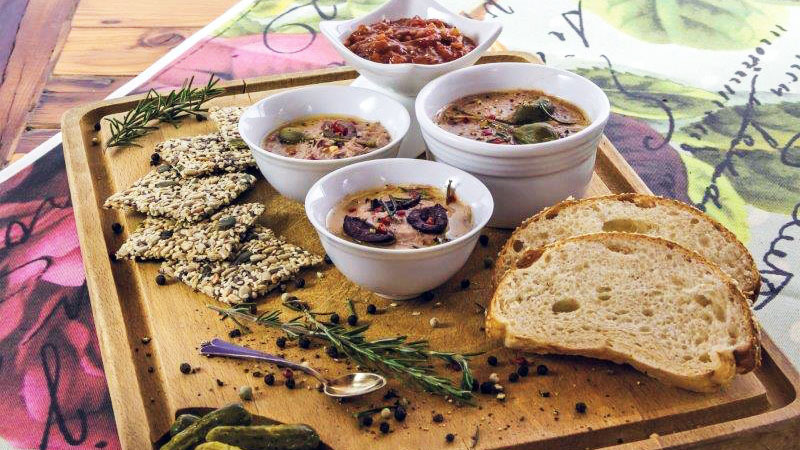 The platter is best served with a rich, dark red wine.